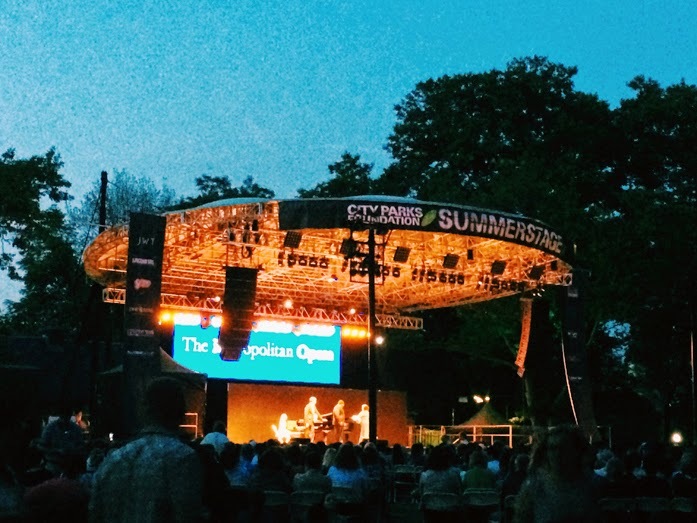 Last week after work, I stopped by the Summer Stage at Central Park to see the Metropolitan Opera. They were performing at a few different places throughout the city during this summer, and I was able to catch their first showing with my cousin and my aunt. It featured pianist Dan Saunders, tenor Russell Thomas, mezzo-soprano Jamie Barton, and soprano Amber Wagner. It was a packed house, which filled up quickly early so we snagged seats on the side bleachers. Despite that, it was all about listening to the beautiful sounds anyway, and it was a delightful show! Wow I wish I could have seen it. That sounds wonderful! 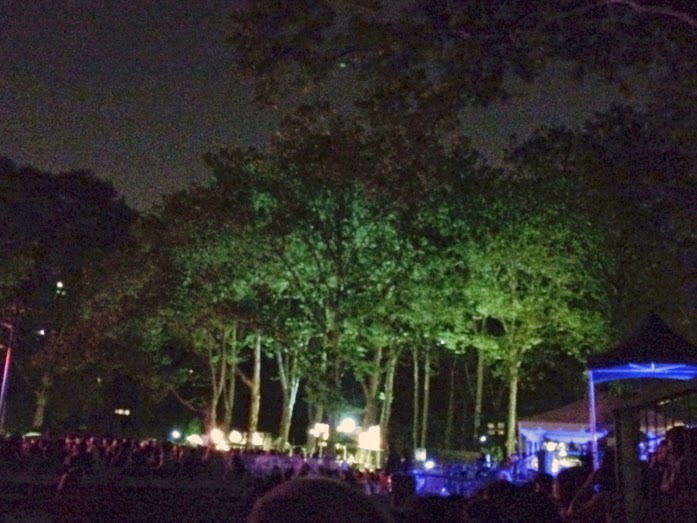 I saw so many great concerts in Central Park when I was at NYU, it blows me away what passes through there. What a treat! That sounds like it was amazing!